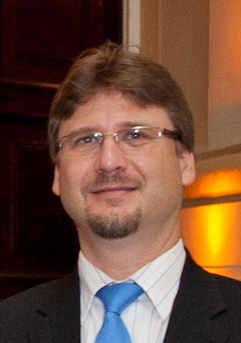 As General Manager of Telesat Brasil, Mauro Wajnberg leads a team of Telesat sales and engineering professionals who provide high performing satellite capacity to customers in both commercial and government sectors. Telesat Brasil is part of Telesat, a leading satellite operator with offices and facilities around the world and a global fleet of 14 satellites. Five Telesat satellites provide Latin American coverage from prime orbital locations: Telstar 12, Estrela do Sul 2 (Telstar 14R), Telstar 11N, Anik G1 and Anik F1. A new satellite, Telstar 12 VANTAGE launching later in 2015, will bring additional Ku-band to Brasil. Customers in the Latin American market are more aware of the ways satellite communications can improve their operations and provide increased network efficiencies. As customers become more informed and sophisticated about satellite communications, the better it is for Telesat. Customers appreciate that Telesat combines unsurpassed technical expertise with the flexibility and creativity to close business. This approach, along with Telesat’s multiple coverage options over the region in both C-band and Ku-band, has enabled us to build a highly favourable reputation in the Latin American market that is paying off for both Telesat and our customers in the midst of rising competition. Telesat is focused on continuing to provide customers with satellite capacity that combines superior performance and value with the quick response and personal touch that build winning business relationships. We also are focused on launching our new Telstar 12 VANTAGE satellite later this year that will carry a powerful Brazil spot beam that provides strong coverage of Brazil and neighbouring countries. The industry is working on a number of fronts to lower the cost per bit for VSAT networks which is helping expand business opportunities for satellite and make us more competitive with terrestrial alternatives. The combination of low cost launch vehicles and all electric satellites, that have significantly reduced mass so that two can launch on the same rocket, reflects the type of bold innovation the industry is taking to deliver better value to customers. Another is the use of high throughput satellites (HTS) which rely on multiple spot beams and frequency reuse to deliver increased throughput versus conventional satellites and drive down the customer’s cost per bit. Telesat’s new Telstar 12 VANTAGE satellite, scheduled to launch late 2015, will give customers access to a combination of broad regional coverage and high throughput beams that will yield important operational advantages in network performance, including backwards compatibility with existing Ku-band terminal equipment. A second Telesat VANTAGE satellite should be announced in the coming months. These are examples of the many exciting ways the satellite industry is working cooperatively to overcome challenges and capture new business. What burning question would you see answered / debated at VSAT LATAM? While some countries in Latin America are showing stronger business growth than others, the region overall is facing economic challenges and is far from the robust gains in GDP of a few years ago. When will the turnaround come and what role can the satcom industry play in hastening its arrival? Finally, in your opinion, why should people attend VSAT LATAM in July? VSAT LATAM will bring top suppliers and purchasers of the satcom industry to Sao Paulo in a concentrated, two-day event that provides unmatched opportunities for learning and networking. It is an ideal forum for those looking to understand new technology trends like high throughput satellites or low earth orbit constellations, and to gain an understanding of how today’s satellite offerings are reshaping communications across Latin America. This entry was posted in Aeronautical, broadband, Intelsat, Latin America, Satellite, Satellite Launch, South America, Telecoms, VSAT and tagged Brazil, GEO, HTS, LEO, satellite, satellite broadband, service providers, TELCO, VSAT conference, VSAT Latin America. Bookmark the permalink.